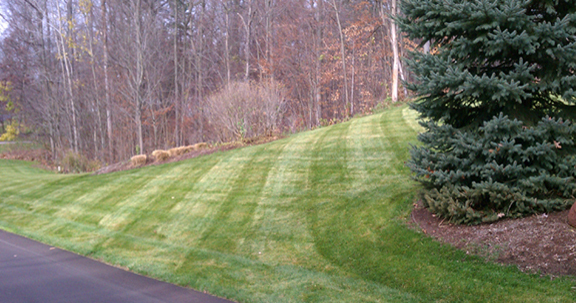 Five Star Lawn Care provides the best in commercial and residential lawn care maintenance in Grand Rapids. Our staff of licensed, professional and friendly employees will treat your lawn like their very own. We will mow, prune, trim, edge and blow away the clippings. Let us take care your yard, so you can get back to enjoying the change of seasons with your friends and family. Leave your lawn maintenance and outdoor Spring and Fall cleaning to us! Our mission is to provide our clients with quality and dependable lawn care maintenance and snow plowing services every time. Five Star Lawn Care is a fully licensed and insured company. We take pride in the fact that we are a local, family owned and operated business, since 1994. We are always available to take your call and customize services to meet your needs. Serving Jenison, Hudsonville, Grandville, Wyoming, and surrounding areas. If our customers are not satisfied, we will do what it takes to make it right! We provide lawn maintenance and snow plowing services to the greater Grand Rapids Area as well as Jenison, Grandville, Wyoming, and Hudsonville. We have flexible billing options available to meet your needs, including credit card payments.